Update: Our software is now 100% compatible with Mac OS X 10.6 (Snow Leopard), so update now! This morning, Apple announced that Mac OS X 10.6 (Snow Leopard) would be arriving in stores and on doorsteps this Friday, August 28th. So, it’s time to update you, our customers, on the compatibility of our software with the new OS. 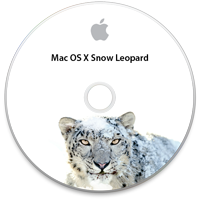 We’re currently hard at work on updates for almost all of our Mac OS X applications for Snow Leopard. While Radioshift, Pulsar, and LineIn all work fine already, and we’ve already updated PongSaver for compatibility, other applications will need updates. Specifically, Airfoil, Audio Hijack Pro, and Nicecast require updates to the optional Instant Hijack component. We’re hard at work on Audio Hijack Pro, Airfoil, and Nicecast updates. Meanwhile, Fission needs an update to handle changes in the decoding of Apple Lossless files. We hope to have these updates out by Friday, but we’re not certain we’ll make that deadline. Your best bet is to check our site for updates over the next couple weeks and be sure to install the latest versions when they’re released. So keep your eyes on our status page and we’ll have more updates soon. Note: Some users might notice the MemoryCell is absent from this page. At this time, we have no plans to update MemoryCell for Mac OS X 10.6, due to increasing technical challenges and time constraints. MemoryCell has always been open-source, so for those who may be interested, the source code for MemoryCell is free to all here. Awesome. Thanks for the updates. Be sure and tweet when they’re ready. Soundsource does not work for me on Snow Leopard, hasn’t been working on any of the dev builds. iStat Menu Pro and Soundsource are the 2 main menubar item that I miss in Snow Leopard. Not quite as flexible as SoundSource, but you are able to option click the sound menu in snow leopard and then choose your system input and output devices. Please be sure to check the Status page itself, for things like SoundSource. As Phil notes, option-clicking the Volume menu in Snow Leopard handles much of what SoundSource does. We are likely to update it for compatibility nonetheless. Hi. Love Pulsar. Love Airfoil. Don’t have it, but love the idea of Audio Hijack. Here’s my thought, combine all of them as a single app that incorporates all of their functions – for the iPhone/iPod touch. SoundSource is update to version 2.5, but if you download it you try the version 2.0. Julius: As bdole notes, this is a bit much to be asking. As far as the iPhone goes, it’s not even remotely possible to do what these apps do. Sorry! Marco: Thanks for the heads up – looks like the Freebies page was updated prematurely. It’s fixed now. Now that iPhone OS 3 supports itunes library access, any chance of an airfoil speakers update ? I am a big fan of SoundSource. It’s absolutely a must-have app!! SoundSource is the only app that keeps me from upgrading to Snow Leopard. Looking forward to seeing the next future version of SoundSource. Keep up the great work. Thanks a lot. Matt: What exactly would Airfoil Speakers do with library access? It’s an audio receiver, getting audio from remote copies of Airfoil. If you’re thinking about Airfoil for the iPhone, sending FROM the iPhone out, unfortunately, library access doesn’t help us at all. The “access” Apple provides is barebones, and doesn’t provide us with any real access to the audio data. In effect, we can tell the iPod app “Show us your lists” and then “Play song X”. We don’t ever get to touch that audio data, which means we can’t do anything with it. Unfortunately, at this time, Airfoil for the iPhone is as impossible as it’s always been. Won-Sik Shim: As noted above, option-clicking the Volume menu on Mac OS X 10.6 will give you pretty much all that SoundSource offers. That said, we plan to have an update shortly, for Mac OS X 10.6 compatibility. Fission was the first thing I installed on Snow Leopard, and it is unbelievably fast and smooth. I spoke too soon, Fission crashes when trying to save. It saved a few times, but the rest of the time it crashes. Justin Luey: We’ll need a copy of the crash logs to see what’s going on. Contact us via support. Will the apps that are waiting on the Instant Hijack update work in Snow Leopard as long as you don’t try to hijack anything? (pointless for some of the apps, I know, but I don’t need instant hijack to use Nicecast). Just installed Soundsource 2.5 on Snow Leopard and it work great ! Make sure you run the previous version’s installer to uninstall it (yes I know, sound weird) before you install the new one. Justin Luey, Alastair Brown: We’ve updated Fission to 1.6.6, so be sure to get that. If you’re still having issues, please contact us directly via support (not via these blog comments. Cptz: As noted, we’re working on updates. Kenneth: There are other issues beyond just Instant Hijack, so anything that doesn’t list 10.6.0 isn’t officially supported under Snow Leopard. That said, you can try Nicecast without Instant Hijack, I believe you’ll be fine. Claudio: When SoundSource 2.5 runs, it should handle uninstalling older versions on its own, actually – no need to run the old installer. BobbyW: It may work, but it’s not recommended. If nothing else, be sure to update as soon as we post a new version. As for the Digital indicator, it’s found in older (out-of-date) versions of Airfoil. It indicated that the output device was digital (as opposed to analog). We removed it due to confusion such as yours, as well as a general lack of usefulness. I updated to Snow Leopard and Audio Hijack Pro has also been updated and all the Extras as well. I have rebooted the system and still Audio Hijack will not record from Safari at all. Is there a Problem. Billy Lennox: As indicated on our Status page, Audio Hijack Pro is not yet supported on Mac OS X 10.6. Please watch our linked-to Status page for updates. Any eta on when airfoil might work with Snow Leopard? I’m sort of lost without it (you guys make great products). I’ve heard rumblings that some people have it working, but even after un-installing instant hijack – it still doesn’t work for me. I’m certain you guys are going as fast as you can to get it updated, I’m just curious when it might happen so I don’t have to keep checking for updates, etc. Airfoil works fine for me with Snow Leopard, but Instant Hijack doesn’t. I simply use airfoil to launch Spotify instead of launching it first. and then it works fine. Will be handy once Instant Hijack is updated o. Sadly, it (Airfoil) doesn’t work for me. did you do anything to get Airfoil working on SL, Paul? I could live without the Instant Hijack feature, but am having a tough time living without Airfoil, so any advice on how you got it running would be appreciated (are you using 3.3.2)? ok – sorry for all the posts – figured something out. It appears that Airfoil will work with SL, except for Safari. That is, it works with Firefox and other programs, but not Safari – at least not for me. this is a good workaround for the time being. Audio Hijack isn’t working for me! I’m using the trial and it does nothing, it worked before I installed Snow Leopard! Please fix this, this is an extremely important program that I use in my work life! Audio Hijack works with Firefox, but not Safari as of yet ( for me anyway) Having the same problem with Sound Studio..
Hi. Can I get an ETA for Instant Hijack please? On another note, I happy to say I’ve purchased AHP, NiceCast, and AirFoil. They’re great. However, I’ve tried Fission twice and can’t seem to find it remotely worth the price. Especially when you consider the much more functional and FLOSS Audacity. If it was $15, I’d pay for it’s simpler interface for simpler times, but that’s it. And a final question? What plugin are you using to auto-close comments, or is this a feature of the new version that I’ve not noticed because I use Discus? George Howard: We don’t have an ETA, no – it’s simply as soon as possible. We’re hard at work on the updates, and when they’e ready, they’ll ship. We want them out there more than anyone, but we can’t release until they’re ready. At this point, if our software is critical for you, sticking with Mac OS X 10.5 is the way to go. You don’t need to keep checking for updates either – just put this weblog in your RSS reader, and you’ll be notified when a post goes up detailing our updates. As you’ve seen, Safari is one of the sticking points. Using an alternate browser for web-based audio is a good workaround for now. Taylor: As we’ve noted in multiple places, Audio Hijack Pro is not yet compatible with Mac OS X 10.6 (Snow Leopard). We’re hard at work on an update. Tollie Williams: As noted above, we have no ETA, no. We’re working on it, and when it’s ready, it’ll ship. As far as Fission goes, if it’s not worth it for you, that’s just fine. Many (many) customers find it worth well more than the price. Audacity does do some things Fission doesn’t (and won’t), but it certainly doesn’t do lossless editing of MP3 and AAC, and the interface is…let’s say, muddled. If it works for you, that’s just fine – you’re not required to buy all of our products! :) But the price is $32, and we have no plans to change that. WordPress itself, which powers this blog, enables automatic comment closing after various time periods. That’s all we’re using. maybe its just me but i think pulsar and astoundsound no longer get along under snow leopard, anybody else having similar experience? Airfoil doesn’t not work under SL with Spotify. It does send some sounds, but only about 5 seconds each minute of the song. Just now got airfoil installed after upgrading to Snow Leopard and find it does not work with Safari. This is a bit sad since it wored so well with the previous OS. It’s a great product and I hope you get an update posted soon.